Palombaro. That’s the name you’ll scour the film credits for, to find the location where most of Lords Of London – despite that title – is set. This beautiful, sunny town in the Abruzzo region of Italy will have you scowling out the window at the lacklustre British weather and heading online to plan your summer hols. Those same credits also thank the people of Palombaro for their help and patience, before going on to praise “Martin Scorsese (for eternal inspiration)”. If viewers had read that shout out to Scorsese before the movie, they might have expected another entry in the already overstuffed London gangster genre. 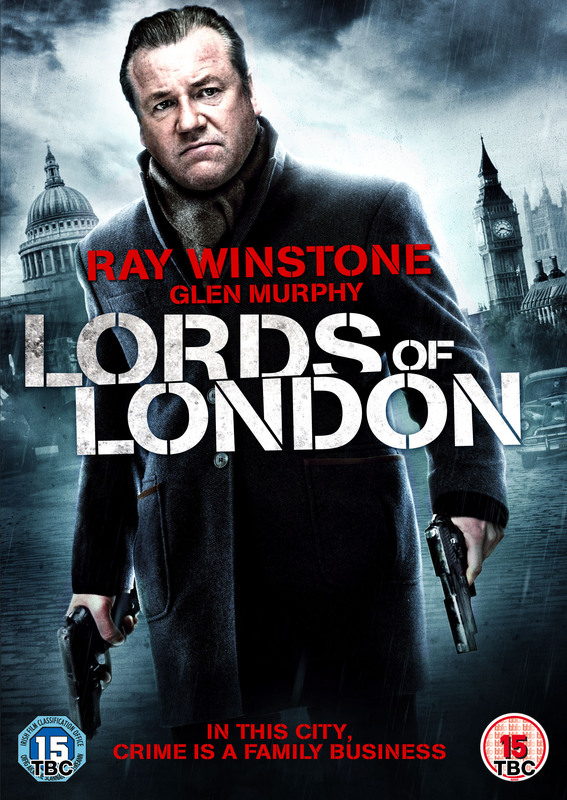 The marketing promises as much, focussing on a picture of Ray Winstone with two guns in his hands and a backdrop that includes the London skyline, topping it off with a tagline that reads: “In this city, crime is a family business.” Thankfully, Lords Of London has much higher aspirations than that. Set mainly in that picturesque town, the story follows villain Tony (Glen Murphy) as he is injured in London only to wake up in sun-kissed Italy. Problem is, he doesn’t know how he got there. Heading to the nearest town, he begins observing a relationship between a violent, unpredictable English boy, Terry (Christopher Hatherall) and the Italian girl who has fallen in love with him. Ignored by most of the town, Tony’s only confident is Francesco (Giovanni Capalbo), the father of the girl who doesn’t want his daughter to go travelling with Terry. He may also hold the answer to how Tony got here, asking him at one point: “Don’t you know what you’re here to do?” All the while, flashbacks show Tony’s life as a boy, growing up as the son of a tough London gangster (Winstone) and suffering his father’s white-hot anger, alongside his mother. For all its lofty ambitions, Lords Of London falls a little short. It’s not so much poor pacing that makes the film feel long at 92 minutes, as the intercutting of past and present is well done, but the fact that you’ll figure out where Tony really is a long time before he puts the pieces together himself. Lords Of London is released on DVD on 6 January 2014 in the UK. I think the idea is he’s been shot at the beginning and as he lies dying he somehow jumps back to the time his father met his mother. By stopping that relationship from happening (that’s supposed to be a young Ray Winstone on the scooter), he manages to undo his own life and bad deeds. Or he was just hallucinating on the nightclub floor as his life ebbed away. I think like Pan’s Labyrinth, you’re supposed to be able to see it either way.